Have you seen this man?? Have you seen this man? He was last spotted weighing in at Hartleton! Due to no other teams bringing scales there was only one set for the entire lake and he could quite possibly still be weighing in now! ......Or he could be having one last drop in trying to catch a skimmer! If you see him, do not approach until he nets a skimmer or you may not get away without the world being put right! I haven't updated my blog for a while (as pointed out by a regular reader!) so apologies for that and here is the news from the last few weeks. 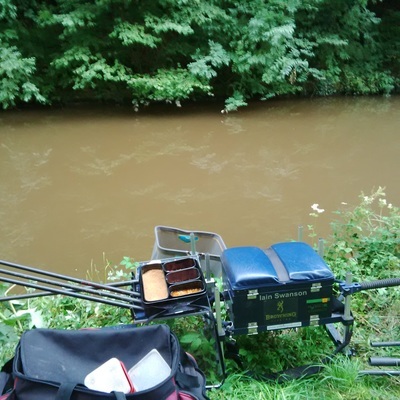 I ran a small match on the Gilwern stretch that is just behind my parents house and where I grew up fishing. It had been fishting well so was looking forward to a nice days sport. As there was only a few of us we had a rover and with drawing number 2 I parked myself by the picnic benches so my spectators (my daughters) could watch in confort. It was a busy day on the towpath and on the canal with a lot of walkers and boats making the most of the weather and the scenery. The fishing didnt dissapoint though and the Roach were keem to have a munch on my groundbait and bread punch. 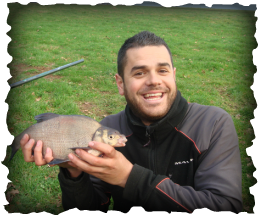 The groundbait mix was made by french super star Olivier Wimmer who had given it to Andy Neal. Andy duley passed it on to me, bribed by a few packs of crisps! It was a really miserable day in West Wales with the rain lashing down non stop for the duration of the match. There was a good turn out though for the Sunday open which was on the Carp Lake. I drew 24 which as luck would have it was right by where I parked my car! It was also a good draw, but with a inlet pipe just to my left and flood water coming into the lake would it still be good?! It started off well with a double figure lump in the net within the first 10mins on corn down the edge. This was followed by a smaller one about 6lb before the earyl edge muggings dried up. 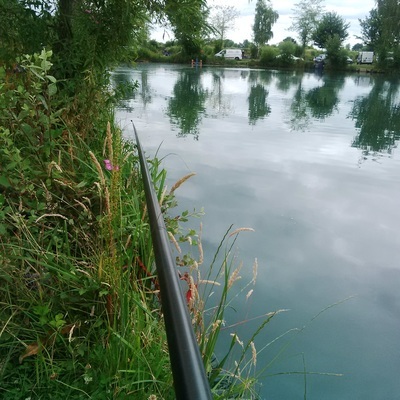 It was quite a narrow peg so I had only set the pole up, with a number of swims to fish to infront to the island and two good margin lines. I had to alternate them all throughout the day just to keep the bites coming, but the lake had fished quite hard and I ended up with 72lb for once again 3rd place! Another little knock up on the canal and another day of rain. As it was the bank holiday weekend we decided to go to the woods as it would have been a bit quieter than the Gilwern Village stretch. The fishing was a bit harder though and the weights predicted to be a bit lower than the previous match we had there. I drew a similar area to where I was the last time, and my tactics where my usual Canal approach. Bread punch to kick off then Caster and pinkie tight over and down the track. 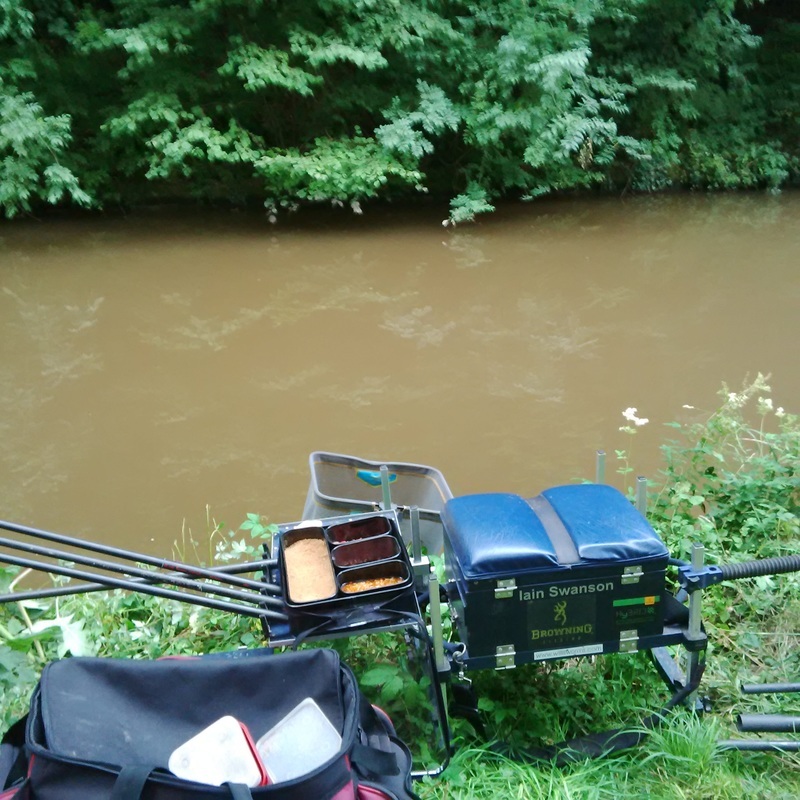 Despite the rain it fished ok and a lot better than the previous match on there. I weighed in 3lb 4oz which was 4th. Richie Hoskins had the best weight with a lovely 8lb bag of Roach and two skimmers. 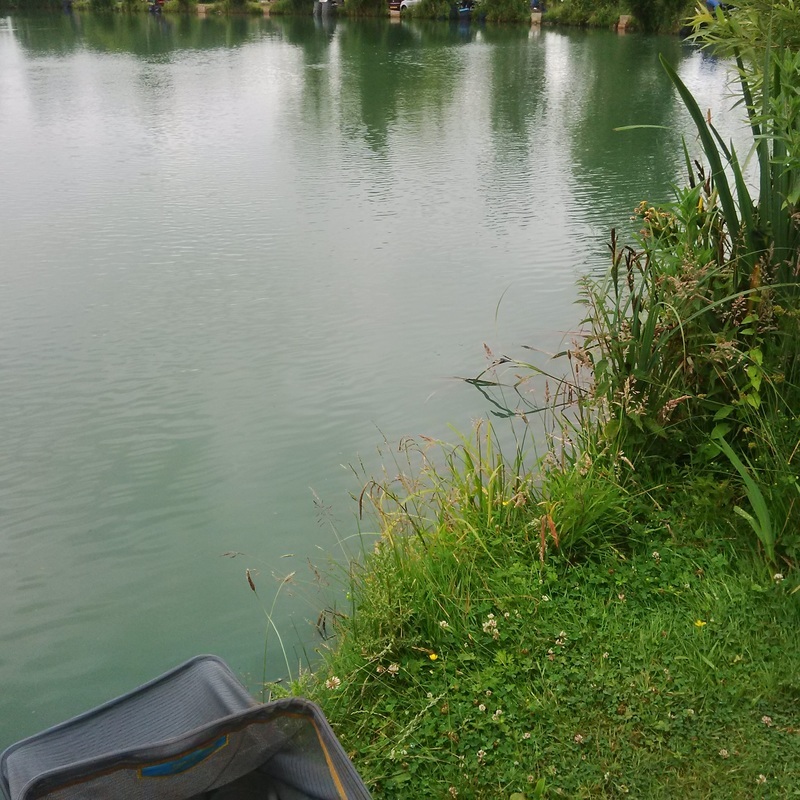 This weekend we were back down the caravan and as the Holgan Farm open was on the Tench and Crucian lake it would have been rude not to given it a go! This is a stunning lake and full of big crucians, Tench and Skimmers. It is getting a little overgrown with lillypads but its just somehting you have got to live with! My plan for today was maggots over micro pellets and groundbait, short and long to the pads. Going to the pads is risky business as if you hook a carp or a big Tinca then they can be through there as soon as you strike, with a lot of lost rigs the outcome! Normally you can catch well close in, but for some reason today I couldnt buy a bite anywhere other than tight over to the pads. I lost one fish and rig that smashed me up in the thick lillys and a couple that I pulled out of trying to get them away from there. I weighed in 32lb of Bream and Crucians which was good enough for another 3rd placing. I had been asked to guest for Frenzee South West in the last round of the league as a number of the regulars were away in Slovenia on Welsh duty or down in Stafford Moor! As Hartleton is one of my favourite lakes, not much arm twisting was required! My draw but me on B4 which was in front of the house on the road side of the lake, I was happy with the area but also had two end pegs to beat, one on the famouse willow tree peg and the other one with an Island chuck that is always good for a few big bream. I had quite a complex plan for today, the plan was 2 swims at 13m one being chopped worm and sloppy groundbait and the other damp micros. The other line was 5/6m feeding hemp and caster and I also set up a method feeder and waggler for good measure. I started off on the method after feeding my two long lines, but strangly I didnt have a rap on it. Not a touch, not a liner totally zilch. So I went on the pellet line over the micros and expected that to bear fruit. Strangly this didnt either!! Where were these skimmers?!! Having gone about 40mins without really a fish on the usual lines that are bankers for skimmers I made a decision to go for the roach or it could be a very long day! I went on the Roach line at 13m fishing chopped worm and they were on it instantly, feeding a very wet dark groundbait mix and finely chopped ABC finest wrigglers they were literally on it! As the day went on I knew this was the right decision as no one in sight was cathcing the skimmers that we were expecting but by then I was beating the anglers around me of small fish so they were sitting it out for bigger fish. I did have a couple of drops on the pellet line just to see if they had moved in on that line but nothing. For some reason they didnt want to know today. At the all out a few had snared a couple but not in any numbers, I weighed in 12lb 12oz of Roach which put my 3rd in the section. It was won with 15lb (8 Bream) and then 14lb (3 bream and silvers). I was satisfied with that as it was respectable points for the team, but also frustrated as know that if I hadn't have wasted so long trying for the Skimmers I would have easily more than beaten 15lb. But thats fishing, we make the decisions and live and learn! Congratulations to the Frenzee Team on winning the league, who put in a very good performance in all league matches. After last weekends superb session on the canal, I decided to organise a little match as was eager to get back on there. 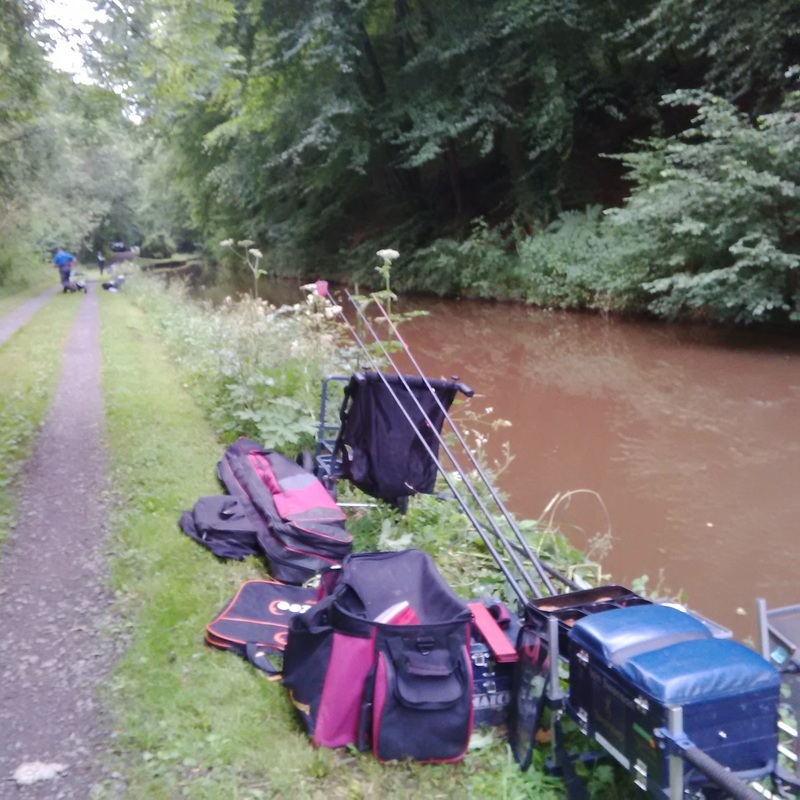 After a few phone calls to Cwmcelyn and a couple of old friends who used to fish the canal matches we were on for a knock up on the Gilwern Woods stretch. 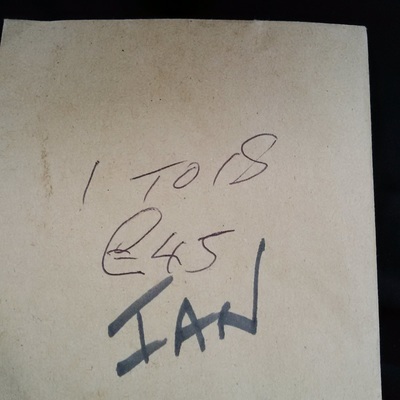 It was great to see all the old faces turn up in the carpark and Gilwern Woods, the usual taunts of "sqatt fairy" where thrown at Keith who himself reminded Chris the Butcher about a fiver he owed him from 3 years ago when they had a side bet on one match. The crack was great though, and a lot of reminissing was done about the woods when it was in its prime. Our good friend Mike Brewer who sadly is no longer with but loved the canal, was also spoken about and remembered. Mike was the only guy I know who would drive home from work on Thursday and Friday luchtimes just to check on his maggots that were turning into casters ready for Sundays match on the canal. He did produce the biggest and finest casters I have ever seen though and had it down to a fine art. 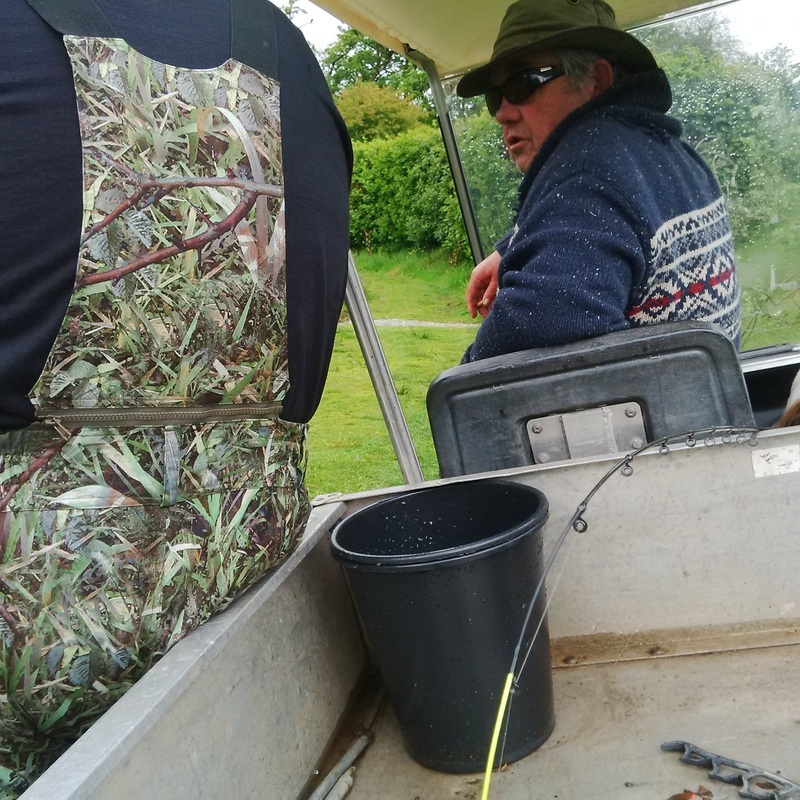 I had the priviledge of travelling with Mike for many years and he taught me a hell of a lot, not only about canal fishing but watercraft and bait preparation in general. Anyway onto the fishing, I drew peg 3 which was around the old peg 46ish. No one had fished the stretch for a while now so peg numbers had little relevance. I had prepared three lines to fish, a bread line at the bottom of the far shelf, a rig for down the track and a line for fishing the far bank. My bread line was the starting point and consisted of a 4x10 Colmic Jolly, shotted shirt button style with number 10s on 0.10 main line to a 0.08 hooklength and a B511 size 20 hook. Now I dont do the usual liccy bread approach when I fish bread. I think this fills them up too much and can kill the swim, so my approach is a bit different. I used Pro Natural ground bait that is flour sieved to take off the particles then mixed 50/50 with brown crumb that is also flour sieved. After mixing I riddle it though a pinkie riddle so it is a lovely mix and explodes as it is falling through the water. I then use a 5mm bread punch and prefer the steamed slices route, rather than from a soft loaf. I started on this line and the bites were pretty instant with small Roach seeming to like the groundbait combination. However it wasn;t long until the boat traffic really picked up and got quite heavy. The colour of the water soon suggested that it was going to be a bit more of a difficult day, the maggot count was about 2seconds which is very brown water!! We plugged on though and after the punch line died, I fed down the track with caster and also flicked a few to the far back under the trees. The rest of the match I was rotating between the track line and the far bank. Bites came all day in fairness but the fish were small, so it would be difficult to put a good weight together. Then all of a sudden Mal called the all out and it was 3.30pm! I could hardly believe it, not in a long time have I had a match go so quickly! It had gone that quick that I only looked at my watch once, and that was at 11.30 when I came off the bread! The rest of the day had just flown by! When we came to weigh in, it was all going to be very close! Shaun Parson ended up winning it with just under 4lb, that included a rouge small stockie Carp!! Despite the relatively low weights it had been a really enjoyable day, and fantastic to get back on the Canal. We all enjoyed it that much that they want to have another one on there next Sunday. Next weekend we could be on the carpark stretch in Gilwern, as Cwmcelyn also have a match on the canal so we'll see what is availible. I had my daughters this weekend so match was off the cards, but as Sunday looked like being a nice day and the best one of the weekend I planned a pleasure session on the Mon & Brec Canal. This stretch in Gilwern that we were going to fish is just behind my parents house and the one where I grew up fishing and won my first match. It holds a lot of happy memories and now controlled by Cwmcelyn AC. I'd been meaning to give it a go for a while, as it is reportidly full of fish despite not really match fished anymore. Because I had my daughters to take, Sunday morning was spent making up some canal rigs and preparing my bait. We got down to the canal at around 12.30 and I picked a peg not far from where I won my first ever match back in 1987 which then was the first annual Carrington Cup. My plan today was basic but focussed, it wasnt a serious session as I had my two girls and my young nephew all eager to have a go and catch their first fish. I'd set up two rigs, one for the bread punch which was an old jolly float on 0.10 main line and 0.08 hook length with a size 20 B511. The second rig was one that won me a lot of money back in the day and still does some damage now for bonus canal fish. Althogh whether I would get to fish it or not due to the kids wanting ago would remain to be seen! Bait wise, I had prepped my special punch mix with some steamed slices of Braces for the hook. I also had half a pint of maggot incase it was a bit hard and I needed a trump card to catch the younger ones a few fish! When I started I cupped in a fair size ball of my groundbait mixabout 3/4 of the way accross and went over it with a 5mm punch of bread. I think it was 3rd trot through and the float buried and a nice 3oz Roach was in the net. The children were mesmorised as I think in about 30 chucks I came back with probably 20 Roach all around the 4-6oz range. That was my fun over with then as they were all desperate to sit on my box and have a go!! My eldest girl went first and took to it well once I'd convinced her the rig was better off in the water and not up in the air! After a bit of coaching though she was holding the pole well and striking at bites and was proud as punch when she mounted up 5 Roach before it was time for my next pupil! My youngest girl was next on the box and as she is only 7 took a bit more helping out. She did it though, and had good paitience to catch 2 Roach and then handed the seat over to my 6 year old nephew. He was probably the keenest of them all to catch a fish and he did, although it was funny as on his first bite we struck, hooked the fish but my Z12 was glued to his hands like concrete and he didnt want to ship it back! We did get it in, and another funny moment follwed on his next fish. Id put a maggot on at this point as bites were tailing off and I didnt want them to lose concentration. A Perch was his second fish and when we got it in I was explaining to him about the spines and that Perch had small teeth and he jumped off the box and run up the towpath screaming!!! 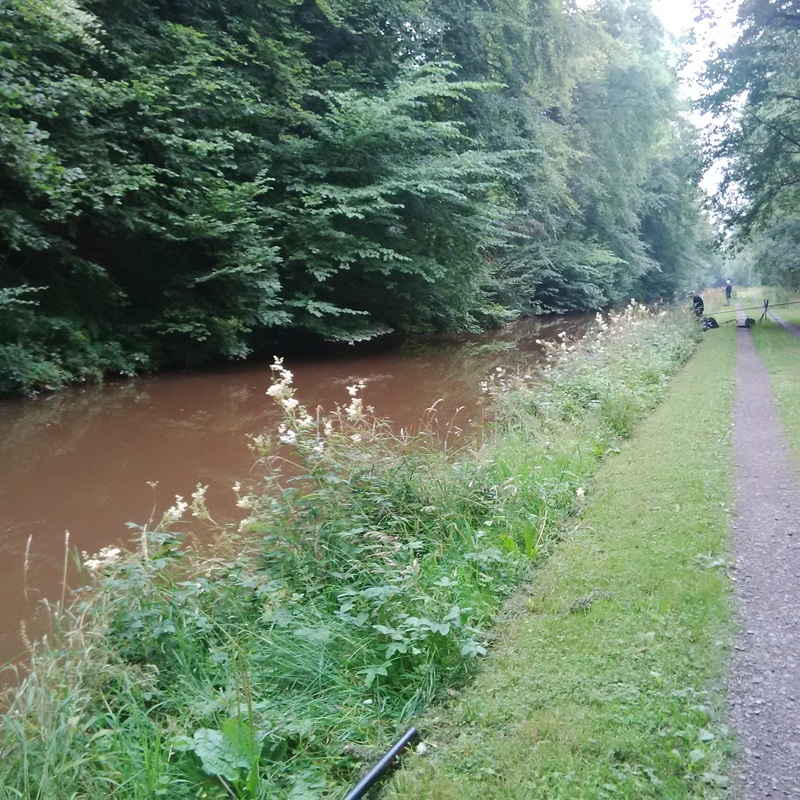 I didn't get to fish as much as i'd have liked due to the children taking over the hotseat on my box but we finished up with around 6-7lb of lovely Canal fish. More importantly though, all three of the children had caught thier first fish and were beaming with pride. Being a match angler in this day and age isn't easy, its a selfish sport that envolves a lot of travelling and days away from the family sometime with little reward. However days like today take you back to earth and remind you why it is we go fishing and how impotant it is to get young children interested into our fantastic sport. This was my last match before going on the annual trip to Madeira so it was back up to Woodlands View for the open match. It was a beautiful sunny day with the sun overhead so it was going to be hot and the fishing difficult. After breakfast I drew High Pool and peg 9, now believe it or not despite me becoming a regular at Woodlands in the last 9 months I was yet to fish high pool. On getting to my peg the chap to my left on 7 wasnt very optamistic about our chances and said it wasn't the best of areas at the moment. There was plenty of sih about however put they were cruisers and didnt look like they were feeding in the Sun. 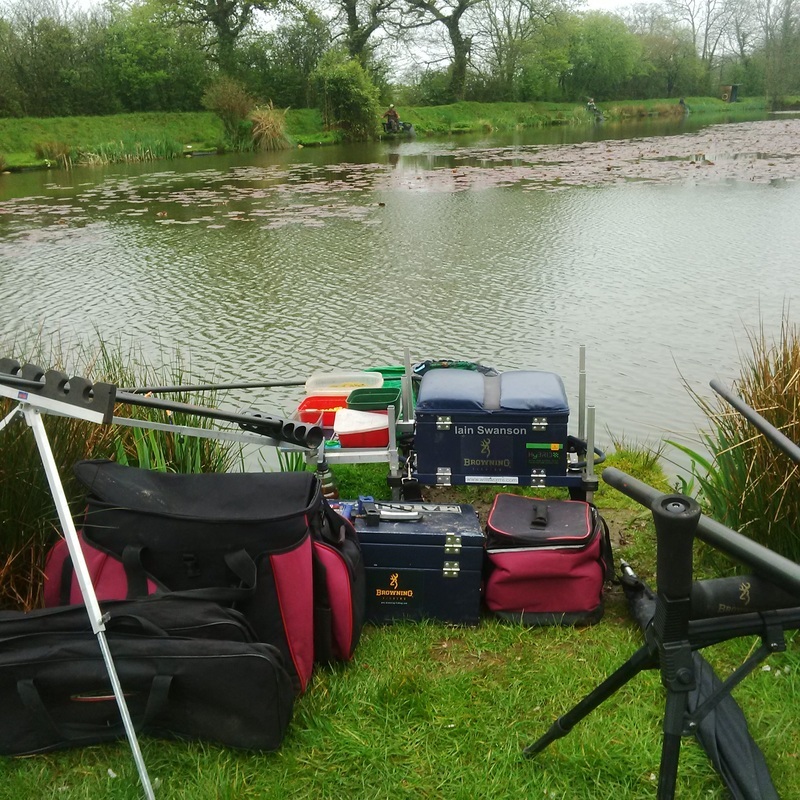 The rigs I set up on the day were the edge rig which I plumbed up to the platform to my left, a shallow rig, the normal 2+2 and a pellet waggler. I started on the pellet wag, but didnt have a propper bite, I lost 2 fish that were fould hooked so didnt spend a lot of time messing around on this as it was pretty evident that it wasn't going to bear fruit. I went on the shallow rig then on the pole and did a bit of mugging, which did work and although it wasnt fast and furous a few fish were ending up hooked correctly and in the net. The 2+2 line didnt really work either as this only resulted in a few skimmers, so I decided to carry on shallow and then fish the edge line on the last hour. This was definitley the right attack as with most of the lake quiet I was slowley getting some fish. The last hour I fished corn down the edge and added a few more Carp to my shallow fish for what I thought was a respectible contribution to the match. 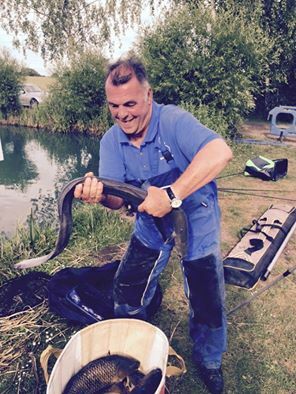 I ended up 2nd in the match with 58lb, the match being won with 85lb on the opposite bank. I was pleased with that as dont think there were really enough chances to get nearer to the 85lb on a boiling hot day with a scorching sun overhead. After going out for a meal the night before and sampling a beautiful Malbec to go with it, the late draw at Woodlands View was all of a sudden very appealing! 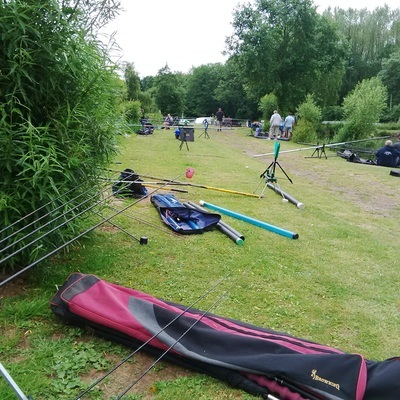 During the summer the Sunday matches on there have a 12pm Draw with fishing from 1pm until 6pm. This is the first one of the late draws that I had fished so was looking forward to it fishing well. 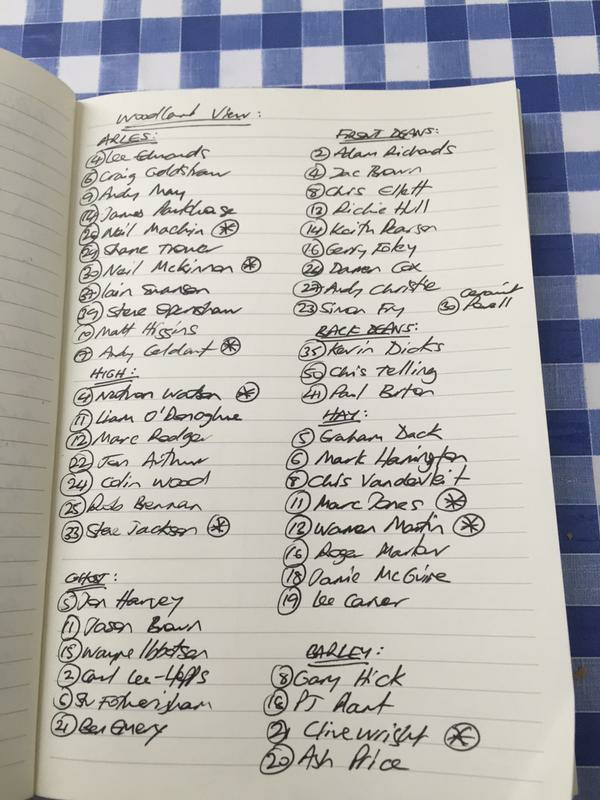 There was a fair turn out as well, with around 30 anglers fishing the match that was spread on front and back deans. My fellow Browning West midlands Team mate Jordan was also fishing it, so had a cuppa and a chat with him and pappa Holloway before the draw. I did decline on the Chicken Burger and Chips that was on offer from Woodlands excellent cafe. 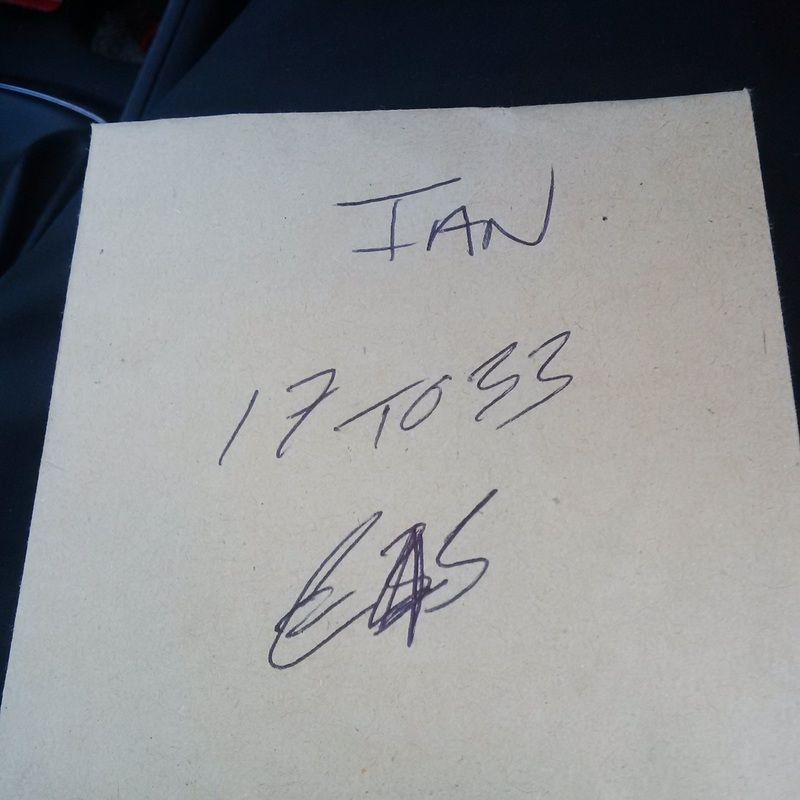 At the draw I drew front deans peg 17, which is an area that I am becoming very familiar with! I haven't been on this peg before but frequent the section regularly. 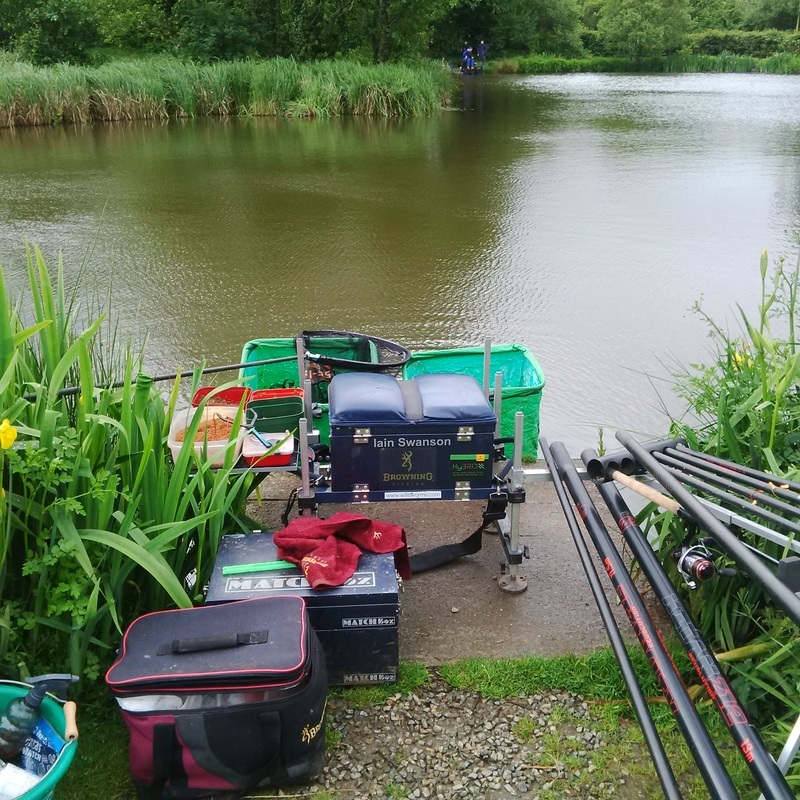 It was a corner (ish) peg so was pretty happy in fairness and there was one or two fish rolling as I was setting up so was looking forward to getting going. Jordan also drew a corner peg, but was on 48 on back deans. The plan today was a pellet wag, then three pole lines, one at the bottom of the shelf, one margin rig and one shallow. Bait wise was fishery 6mm and 8mm feed Pellets, a tin of Corn and some 6mm Bait Tech Expanders pumped with CSL. On the all in I cupped in a generous helping of the feed pellets onto the 2+2 line and went straight over that with an expander on the hook. Whilst I was fishing this line I kept firing a few pellets over the pellet wag line and throwing some corn and pellets into the edge swim ready for later. It was a very slow start however, not just for me but the entire lake. The Carp just didnt want to feed for some reason. It as a bit worrying as after the first hour I had only a few skimmers in my silvers net. This was despite switching to all the swims and rigs, no bites off Carp were to be had. this pattern continued and despite regular feeding nothing apart from Silvers seemed to want a bit of food. It was decision time a few people were nabbing the odd fish shallow, but not in any numbers. Do I follow or do stick to my guns and keep plugging away at my 2+2 line and edge in the hope that it comes to life. Well in the end I decided not to waste time trying to mug the odd fish here and there (and they were few and far between) and I kept going on the pole line. All of a sudden with about and hour and a half to go the swim came to life as if someone had flicked a switch. It didnt start too good though as the first Carp I hooked I think was foul hooked as it came off! this was followed by another two missed missed bites. I added a bit of depth to the rig then and layed on by a good 6-8 inches and before I knew it was playing a fish that this time ended up in the net. As if by magic the fish had switched on and although they weren't big I was catching steadily. Literally in the last hour and a half I had 50lb to go with my 5lb of silvers which although wasn't anywhere near the other end of the lake weight it was enough to pick up a section win. Jordan weighed in 62lb and won his section too, so all ended well. I am glad that I stuck to my guns and kept going on the 2+2 line rather than chasing fish around the pond as do think it was the right decision to have made. I have been eagerly awaiting this fish o mania qualifier, which was my only ticket this year out of the 6 that I applied for. Having had a nightmare of a match on the Saturday before, the kit had been sorted, rigs tied, bait lovingly prepared and I was ready! The morning of the match came and it was a beautiful day, a little foggy to start but the skys cleared and the sun shone. By 8.30 a large que had formed even outside the doors whilst the Welsh contingent were still munching on our bacon sandwiches. I joined the que and having a chat with former winner Clive Wright about our mutual love of Holgan farm passed the time away. The night before I'd said a few prayers asking for a peg on Ghost, but alas my draw had let me down and I was heading to Arles....peg 37 to be precise. It seemed a decent enough peg though and I know it had a bit of form in the winter time, Ade also said that on the day it was a fair pick so I wasnt too distraught. At about 10am we had heard the shocking news that one of our fellow competitiors had suffered a heart attack whist setting up and in moments there was two ambulances speeding through the fishery. The match was sensibly delayed to a 11.30 start as several anglers assisted the ill angler and to give time so the medical team could do thier work. The match began at 11.30 in a some what somber mood with everyones thoughts with our fellow angler. I opted for the usual Woodlands approach of 2+2, a long pole line, edge line and a shallow rig as there was a fair few fish cruising about on this very warm day. I had also set up a pellet waggler and lead as had a sunken island a few stumps to cast to. It seemed apparant from the first hour that Arles wasn't going to be the lake to offer a qualifier as the fishing was slow and sluggish with the fish quite small by Woodlands standards. 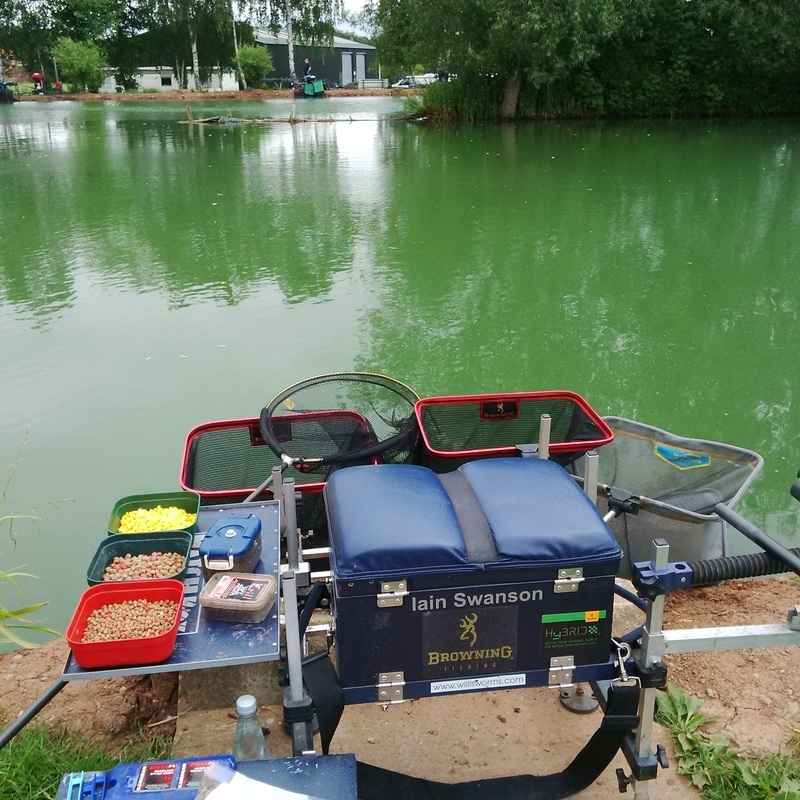 Our hopes of qualifying were fading fast as the day wore on, although fishing is put into perspective when a fellow angler is taken away in an ambulance. I had a few on the pole lines and a few on the lead but all around us it was a bit of a struggle. There was some reports of good weights on front deans and on ghost and the match ended as it had started....pretty slow! The fish o mania aspirations for this year are over, but was made up for my mate Jon Harvey who won the match with a superb 168lb off Ghost peg 5 and will now be in the fish o mania final. 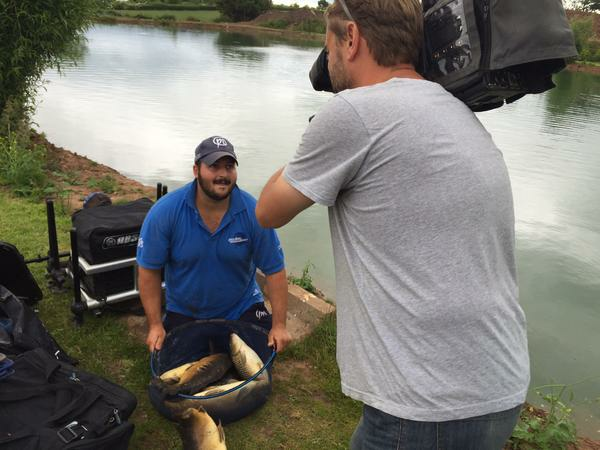 Well done Jon and you wouldn't bet against him becoming the first Welshman to win the Fish o mania title. The best news though was yet to come as we learnt that the Angler who fell ill at the start, and suffered a heart attack had lived to fish another day. Dennis the chap in question had been saved by the quick thinking of fellow anglers who performed cpr on him until the paramedics turned up. He is now recovering in hospital and I know that all the anglers who were there were delighted to hear that news. Undoubtedly the best news of the day, and get well soon Dennis. After a few weekends down the Caravan fishing Holgan Farm, it was back up to my other favourite fishery of late Woodlands View in Droitwich. There was a small matter of a fish o mania qualifier approaching so it was up the M50 for a days fishing there. It was a right miserable day raining pretty consistently all the way up so was prepared for a bit of a soaking. Got to the cafe and seen that my fellow countrymen John Harvey and Lee Edwards had the same idea so a sausage and bacon sandwich later and a chat and we were off to draw. I drew front deans peg 14 which a few were fancying at the start as it was an end peg with a decent edge line to fish too and a bit of room to boot. My tactics for Woodlands today was the trusty 2+2 line, long pole line and an edge line. I did set up a waggler but wasnt sure if it was the right day for it. Anyway on kick off I cupped in a pot full of the fishery feed pellets on the 2+2 line and started on that. I had a bite pretty instantly which was a couple of decent skimmers, then then after frequent feeding the first carp was in the net. Disaster then struck, I hooked another carp, which was a decent fish and after a few minutes playing it up popped a big double figure fish. I had made a schoolboy error though, my landing net was too small and after a couple of scoops and wiggling trying to fit it in, the hook pulled and the fish around 15lb or so went home! My match after this went pear shaped and I proceeded to lose several other fish, not to the landing net though which by then had been changed. I weighed in a measly 36lb for no where and a deservedly no where at that! Lee Edwards won the match with 165lb off peg four so the money did end up going back to Wales....just not in my car. It was a tough day at the office, and reflecting on it on the journey home didnt help but by the time I had had my food and a beer everything was ok again! Only one photo taken today as it was raining all through so the phone stayed in the car! It was back to Holgan farm for the Sunday open, this time on the match lake which holds a lot of "Beasts!". I dont know what Heapsy has fed these creatures on but they go like stink and really test your gear to the maximum. After the usual meeting in Ian's man cave (the room at the back of the shop!) the draw was made and I pulled out peg 4 which was only a short walk down the path. It was a lovely looking peg with a bay in front and a good edge line to my right up to the next peg. Plan was simple enough, Pellet Wag, 8m pole line and an edge rig. Bait was just as simple with 6mm expanders, corn, and the fishery Sensas feed pellets in 6mm and 8mm. The match was quite difficult and the fish were not playing today, in fact Ian himself only caught one carp and that was hooked 2mins before the all out. I managed 9 fish on a varying tactics, 4 of them were in the last hour down the edge swim to my right on corn over 6mm Pellets. My 9 fish went for 56lb which was 4th on the day. A few fish were lost (as usual!) but that would have been the same for everyone as the speed these things motor off you have to hook one to believe it! I am very fortunate that we have a stunning caravan at the beautiful village of Summerhill in West Wales. As coincidence would have it, the caravan is only 8 miles away from Ian Heaps's stunning Holgan Farm Fishery. This is a great bonus as it means that I can mix family weekends away and holidays with fishing. This particular weekend after a great day geocaching with the family on the Saturday I was off to fish the open at Ian's which this week was on the Tench and Crucian lake. 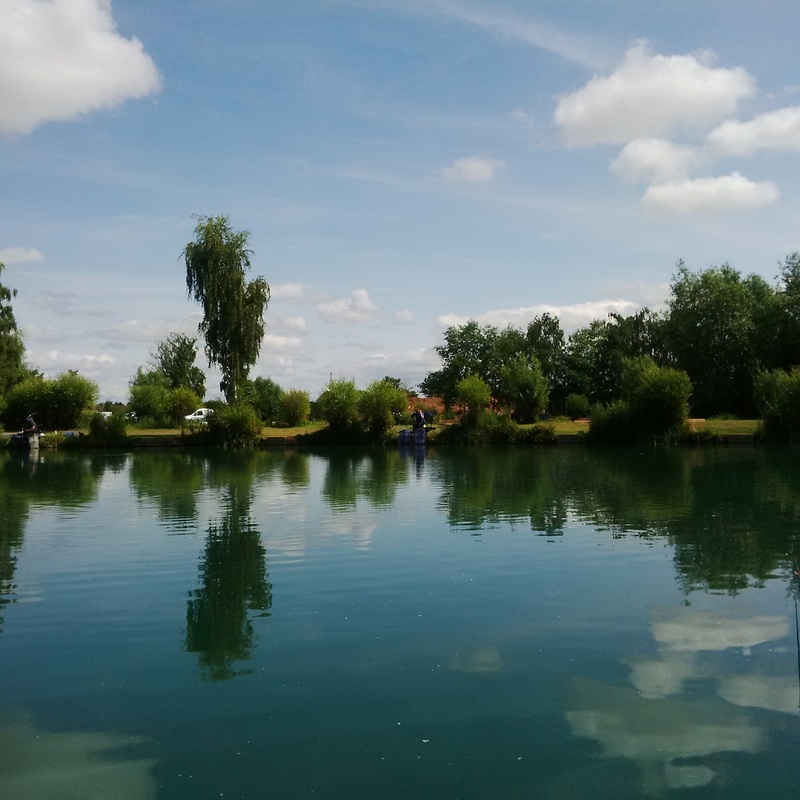 This lake is turely stunning and landscaped beautifully with a big lilly pad in the middle, which is the ideal hiding places for the big old tench that live in there. The lillys are not so good for the anglers though and if you are not geared up right for them it can be costly. 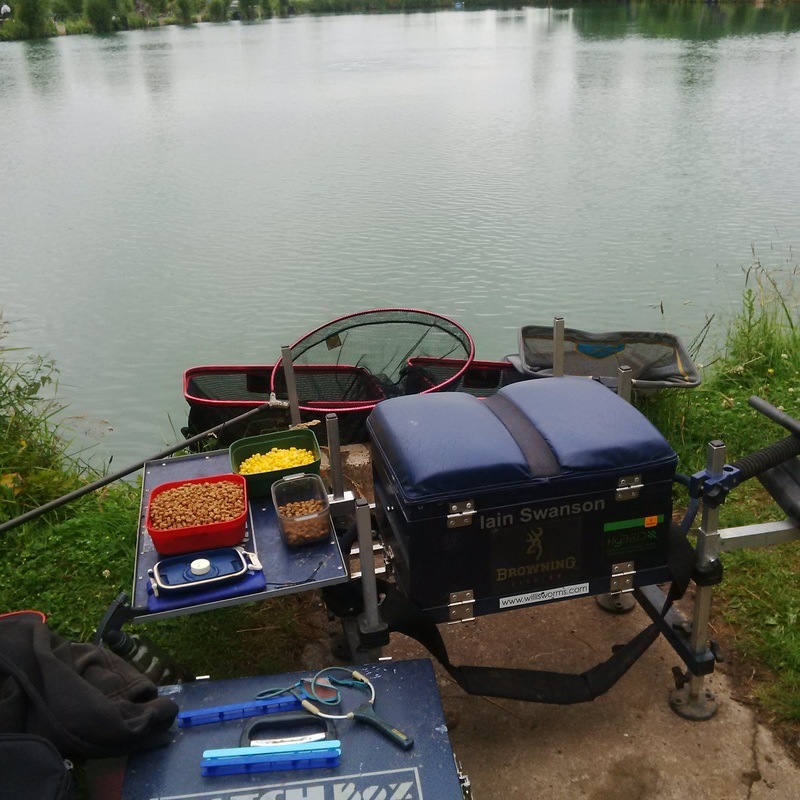 On the day after the usual social and catch up in Ian's den, I drew peg 11which was down the bottom end of the lake and an area that I had fished before. I planned 3 lines of attack, a 2+2 line a 13m line to the lilly pads and an edge line. On the all in, I cupped in a ball of the fishery Sensas pellets and Special G gold on the short line then a few more on the long line to the lillys with a helping of corn to boot. First off on the short line it was a bit slow, and a bit frustrating as I lost two good crucians at the net before finally getting one. The bites were a bit finicy though so I went long to the pads to see what would happen. The bites there were instant and I caught 2 quick fish before losing one in the pads. These crucians are very much like F1's, you have to keep searching for them around your swim and keep alternating to get bites. For the next few hours thats exactly what I did swapping swims and baits until I would get a few fish. As the afternoon went on, I started to put a bit of food down the edge line which was 8m to my left against a fishy looking hedge feature. First put in it was fish on and a nice 2lb Common was in the net. Then very quickly it died again, so I decided to put some chopped worm in over the special G gold mix. This was instant and for the last hour I did manage to put a run of fish together and enjoyed some great fishing from these hard fighting crucian carp. Weighing in a few people around me had tipped back as it had been a difficult day so I fancied my chances of a frame. I weighed in 29lb 8oz which was mad up of Crucians, 1 Common and 1 Tench of about 2lb. I ended up 3rd with that, and agonisingly only 1lb away from 2nd. the match was won with 42lb which were all caught on maggot close in. It was enough to beat the old master Heapsy off the next peg by a good 10lb as well! Cracking day though and a few beer tokens to spend in the caravan site clubhouse!